The teacher read out a statement, saying her life has been ‘destroyed’ by the incident and the children of the school were ‘traumatised’. 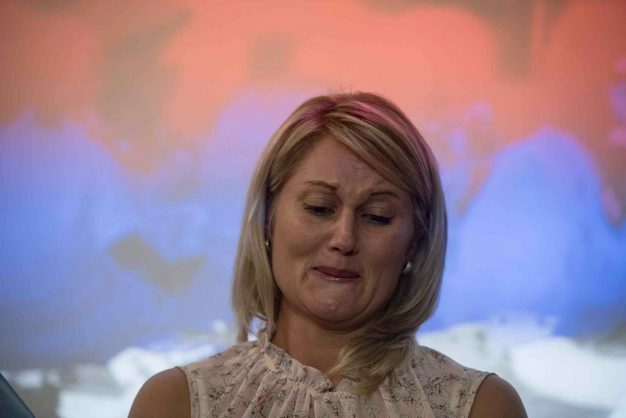 At a press conference held by union Solidarity, suspended Schweizer-Reneke teacher Elana Barkhuizen was in tears as she read out a statement in Afrikaans. Barkhuizen shared a picture of a classroom at the North West school which caused outrage for seemingly depicting children divided along racial lines. She said she was a “good teacher”, and thanked people in her community both black and white who had shown her support through a “message or a prayer”. Barkhuizen accused those who were responsible for the outrage surrounding the incident of being “opportunists” who had the aim of “spreading hate”, and said such people shouldn’t be allowed to spread doubt among teachers or cause them to question their profession. She said the children of the town were exploited, that they were traumatised by the incident and that her life has been “destroyed” by it. She added that no-one should feel sorry for her as she would “fight” to clear her name. At the press conference, Solidarity said they would serve court papers before the end of the week in an attempt to lift Barkhuizen’s suspension. The union has also asked the Human Rights Commission to investigate North West education MEC Sello Lehari, according to CEO Dirk Hermann. Hermann called their legal challenge a “matter of utmost importance” in South Africa, adding that he saw it as an issue of building democracy. “Solidarity has appointed a top legal team to represent her where labour law matters are concerned. We’ll leave no stone unturned and take steps against every high profile official who was party to bundu law activities,” Hermann said. 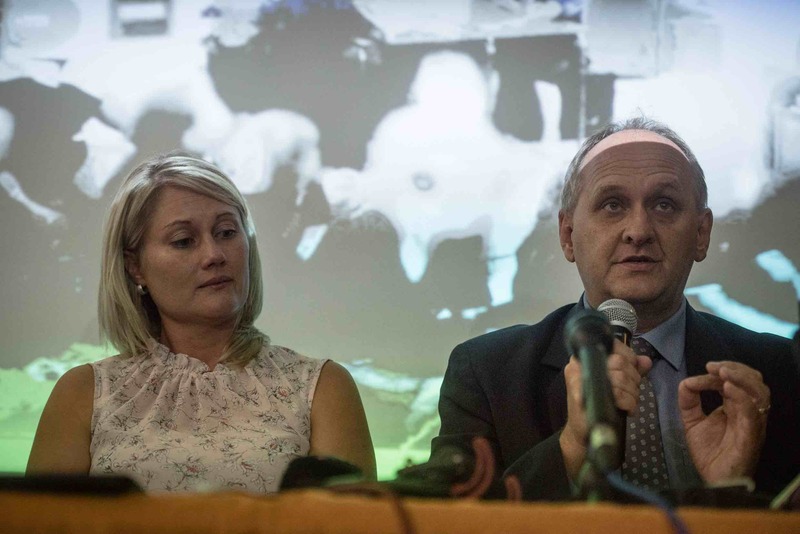 Hermann added that “official processes” would uncover the truth regarding what happened at the school. He complained that Barkhuizen had not been listened to, adding that she cared about pupils of all races at the school and was not wearing “racism glasses” when she took the picture. The Citizen reported on Monday that confusion around what was happening at Laerskool Schweizer-Reneke had continued, with the department of education confirming on Monday that the teacher running the class originally pictured was not the one who was suspended. The young teacher who was instead suspended was the one who took the controversial photo and sent it to a parents’ WhatsApp group, apparently because she wanted to reassure parents that the children were settling in happily. The teacher of the class is, however, still being investigated. Teaching at the school returned to a form of normality with improved security on Monday after parents expressed concerns and many did not allow their pupils to return to school on Friday.